The manufacturing of FABRIC TOKYO begins with selection of raw materials for wool and cotton. I will not make things like other people who ask other people. We will face each factory one by one and work slowly and carefully. Because we think that it is impossible to produce goods that meet the various diverse values of each person. A good product has a history that has been handed down politely and the person and feeling that supports it are in the background. On this Factory page, I do not aim to publish the factory production process, but I will tell you that there are good reasons for goods. I will challenge the essential "open product". 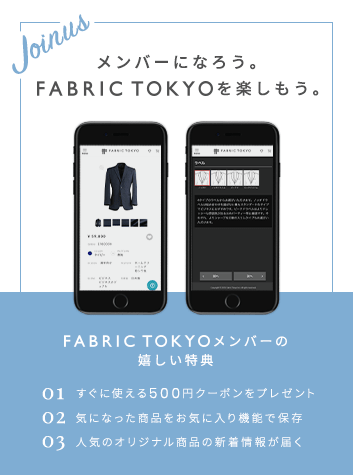 Copyright © 2018 FABRIC TOKYO All rights reserved.